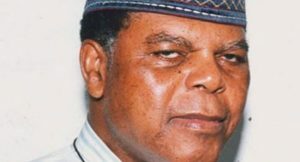 The Patriarch of the Ibru family of Agbarha-Otor in Delta State, south-south Nigeria, Mr Michael Ibru, has died at the age of 86. A statement by the family says the Mr Ibru died peacefully at a medical facility where he had been receiving treatment in the United States in the early hours of Tuesday. The late business mogul born in 1930 founded the Ibru organisation in 1956, a company that has become one of the largest conglomerates in Nigeria, with interests in diverse sectors of the economy. He has five wives and 17 children, with the most prominent being Olorogun Oskar Ibru who heads Ibafon Ports and Oboden Ibru, who is a key player in defunct Oceanic bank International PLC now Ecobank PLC. He also tried his hands in politics, in 1983, he was a gubernatorial candidate but lost to Samuel Ogbemudia.